Greens are high on iron, vitamins and calcium. Switch from making usual kootu and poriyal. 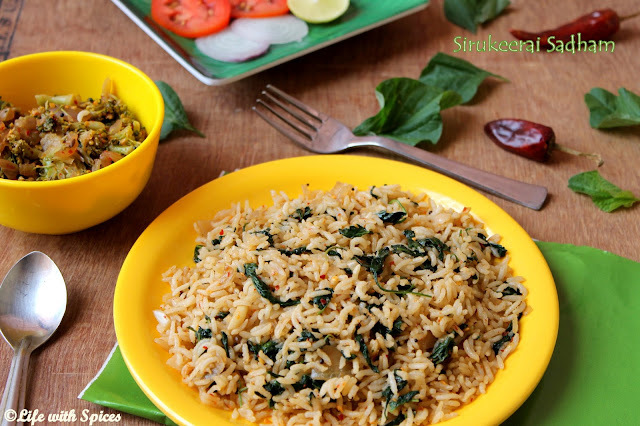 Try this greens rice a wholesome meal by itself. Ina pan heat oil add mustard once it cracks add cumin seeds, uradh dhal, channa dhal roast and add onions n garlic flakes saute well. Add chopped greens, salt, red chilli flakes add 2 tbsp water and cook in medium heat for 5 mins. Add cooked rice mix well and serve with broccoli curry. A very healthy one pot meal...Kalpana. Yummy & tasty dish.. A health packed one pot meal ! Healthy n simple one pot meal!! Healthy and delicious rice.. yummy ! !